The most ingenious idea at an organic market over the weekend at Gothenburg's Gunnebo "castle" was in the Future Gardens exhibit - designer Topher Delaney used construction debris bags with poked holes for lettuce and other garden veggies to peek out of - a great way to build a garden up instead of out - and a lot less weeding! A low-tech version of vertical farming. The orange and yellow Big Bags used in Gunnebo's gardens are familiar to any large town or city dweller in Sweden - these polypropelene bags (which are recyclable) fill the streets near construction sites yet are less intrusive and more easily picked up for transport of construction debris to recycling facilities than the trash containers used in other countries. Big bag gardens are a fantastic idea. I really hope it catches and spreads. great to see people constantly innovating... the only way we find out what are the most successful solutions. They look unusual and seem to hold loads of plants. I would really like to grow some veggies this way! 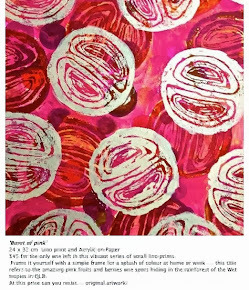 WELCOME TO HOMAGE TO THE SEED WEB-LOG ... COMMENCED IN FEBRUARY 2010 BY VISUAL ARTIST SOPHIE MUNNS! HOMAGE TO THE SEED was launched by Sophie Munns for the 2010 Brisbane Botanic Gardens Artist-In-Residency program at Mt Coot-tha, Brisbane. The residency focused on our extraordinary regional and global Seed heritage - the critical work of seed conservation and the future of seeds - coinciding with the 2010 International Year of Biodiversity. This project is continuing in 2013. Pop over to the website for an overview of this project. Contributions of articles, comments and inquiries are most welcome! 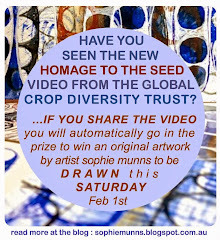 Click image to WATCH NEW VIDEO by GLOBAL CROP DIVERSITY TRUST on Homage to the Seed project, Seeds and Diversity. If you wish to SHARE the VIDEO it will be most appreciated. 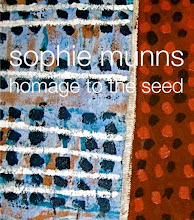 SOPHIE MUNNS ARTWORKS + Homage to the Seed postcards available now at the NEW ONLINE Shop! Click here to go to online exhibition of "From one small seed"
UQ Residency for International Fascination of Plants Day - May 18th! I've chosen to keep a public page at Facebook ... not the personal- friends aspect of FB. If you have seed-related material worth posting on this FB page I'd be pleased to share it there. I find its a most useful archive for items to return to later ! Read here about this exciting event held at Southbank, Brisbane over July. The Residency concluded with 'Homage to the Seed' - an exhibition of works produced over the course of 2010. 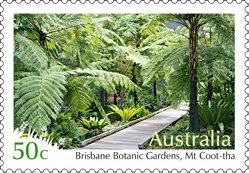 It was held at the Herbarium at Brisbane Botanic Gardens on the first weekend of December. To read more about the final event on the 2010 Residency calendar click here (website) and here at this blog.. Hear Sophie Munns on local ABC Radio Nov, 2010 interveiwed by Phil Smith. THIS PROJECT HAS BEEN GOING SINCE FEB 2010 ... A NEW BOOK IS UNDERWAY ( MARCH 2014) !! 'Seeds for Life', the Qld chapter of the Millennium Seedbank Partnership, is based at the Seed Lab on the grounds of Brisbane Botanic Gardens at Mt Coot-tha. What's Beatrix Potter got to do with "New Art/Science Affinities" + Announcing the NEW Project! 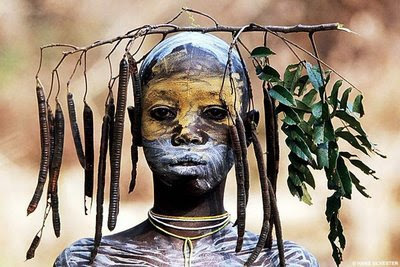 ART PROPELLED: A Dream of Trees. Improve your plant life balance! Mid July: THE WEEK THAT WAS! Read the overview of OPEN STUDIO WEEK here. 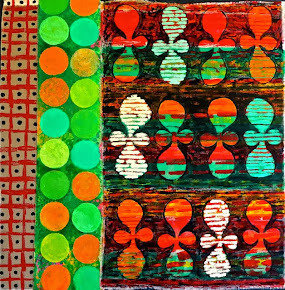 Visit Robyn Gordon's wonderful blog ART PROPELLED and see a story she put together on artists who work with seed pod forms for inspiration in their art practices. 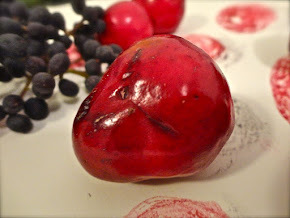 You may recognise some "homage to the seed" links as well - with thanks to Robyn. Read more here as well! on 11 January 2010 in Berlin. With the official launch of the International Year of Biodiversity scheduled for 11 January 2010 in Berlin, Germany, Emile Frison, the Director General of Bioversity International, warns that there is much more to biodiversity than whales and panda bears. For too long, conservationists have tended to view farmers and farming as the enemy. While in many cases that may be true, the International Year of Biodiversity offers a great opportunity to work towards more productive food systems based on biodiversity and a more ecological approach to agriculture. Bioversity research has shown how neglected and under-utilized species can deliver better nutrition and health, at the same time protecting the environment and increasing incomes. It is also pinpointing the impact of predicted changes in climate on crops and suggesting new sources of material that will help farmers adapt to new weather patterns. Collaboration between the arts and sciences has the potential to create new knowledge,ideas and processes beneficial to both fields. Artists and scientists approach creativity, exploration and research in different ways and from different perspectives; when working together they open up new ways of seeing, experiencing and interpreting the world around us. For the past decade,the Australian Network for Art & Technology (ANAT) has provided opportunities for artists and scientists to work together. Our most recent projects, delivered under the Synapse brand in partnership with the Australia Council for the Arts, include residencies, the Synapse database and a moderated elist. 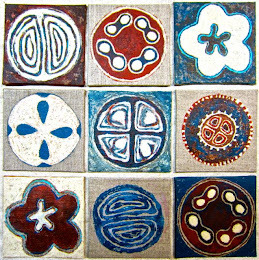 Click here to view profiles of artists on this site and for further information. Tip 1. 'Who's your daddy?' explains the relevance of discovering whether your parent plant is a hybrid, heirloom or open-pollinated variety. If you are not sure why this is so critical then dont be shy about asking or seeking advice, wherever you live on this globe of ours. Lately quite a few people have told me of their astonishment at finding something they had gone to the trouble of saving and planting much later had turned out to be hybridised and incapable of reproducing. Once we've had this frustrating experience the eagerness to understand what is now happening with seeds is awakened - which is a very positive thing. Tip 2: become a mad scientist. Know your plant's specific name. 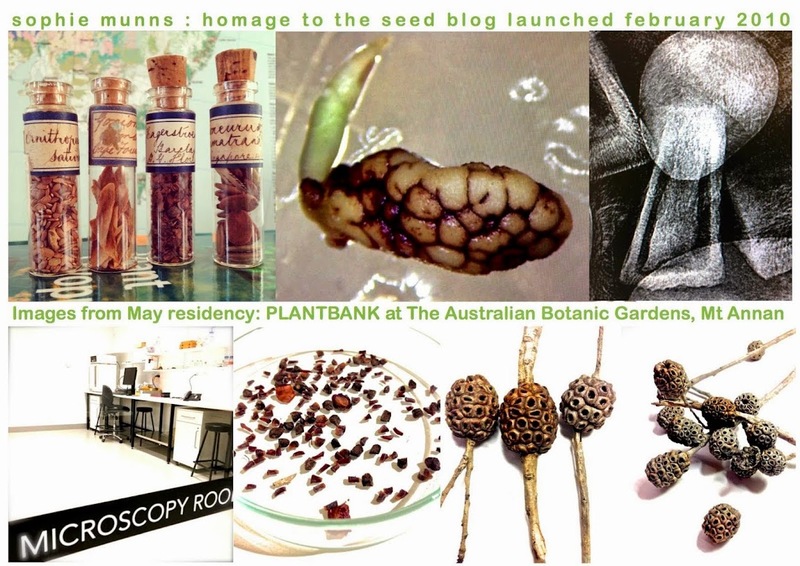 On a March 8 post titled ' The archeology of the everyday' I added links to a number of Australian Seed Saving organisations and places to find heritage seeds. At the side-bar on the right-hand side down towards the end I have listed websites and blogs you can visit. This will be updated from time to time. Also check the titles of the blog archive for other related posts. The Australian organisation Seedsavers which started in Byron Bay has a blog with excellent links here to films, books, local seed networks, permaculture, and news. To read about their account of starting Seed savers click here. The growth of Farmers or Growers Markets adds another welcome layer to the effort to bring focus back to the source of things.... and to find those growers who value the big picture and the future story enough to go the extra distance to produce in a eco-sustainable way. Here are some australian initiatives working in ways that champion Biodiversity. Australia's Virtual Herbarium - Australia's Comonwealth, State and territory herbaria house over 6 million plant, algae and funghi specimens. 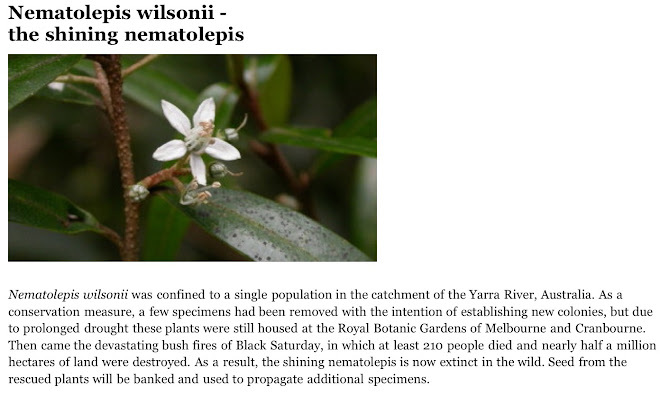 The collecting information stored with these speciemns provides the most complete picture of the distribution of Australia's flora to date-limited access unless you log in!. RESURGENCE: magazine promoting ecological sustainability, social justice and spiritual values. The Australian Tree Seed Centre - CSIRO Plant Industry management. 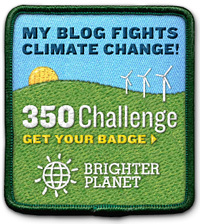 RELATED BLOGS WORTH A VISIT! A Local Seed Network (LSN) that has joined with many others who are actively conserving our heritage open pollinated seeds. I found this network through Brisbane Local Food which I have just joined after reading about them at Transition Towns. The land, roughly 20m x more than 50m, is donated by Griffith University right along the Logan Motorway, certainly not small by comparison to other community farms in Brissy. There're quite a few facilities donated and hand-built by the volunteers including toilets, wash-up area, a traditional African Hut, children's playground, lockable 20 foot container to store tools and a shaded area with work benches. Water is managed by the council and pumped in from a nearby lake. One to die, and one to grow. Nor the quarter of what I see! All the seed catalogues say!" the seed of your destiny. there, and I am prepared to expect wonders. You bury it in the ground, and it explodes into an oak! Bury a sheep, and nothing happens but decay. possibilities, however, only if it receives corresponding energies from the sky. Grain must return to the earth, die, and decompose for new growth to begin. That it may in the day of distress, give fruit. The word "miracle" aptly describes a seed. All seed answer light, but the color is different. 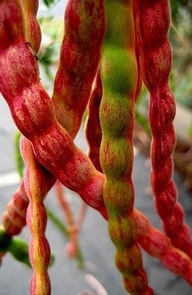 The plant reveals what is in the seed. At the very least, your view of it. Thanks to Nicki Laws for sending this link to the Homage Blog! part of the Millennium Seedbank Project.